Dear Sister, listen to me….Satan wants us to focus on the mountain! He wants us to analyze it, study it and be intimated by it. He wants to paralyze us with fear and the impossible scenario. God wants us to focus on Him! He wants us to trust, rely and believe that with God all things are possible. However BIG your mountain is….God is SO MUCH BIGGER!!!! You see, it is through faith in our Powerful God that we can move mountains. 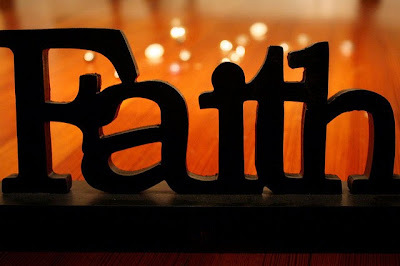 It is not about having a positive attitude or a name it, claim it kind of faith, but a complete trust in God and His will. It is not with a heart of what is best for me, but a heart focused on what is honoring to God. Thank you so much that you are a God who listens to our prayers and can turn our impossible situations into possibilities, AND because of our faith in you, we can take part in seeing the action! Help us Lord, when we start to turn our eyes off of you and on to our circumstances. Bring to our mind your promises. Help us in our doubts and insecurities to remember your words of truth. Give us a heart that is aligned with yours. We pray that you give us the strength to turn our desires and our plans over to you. We need to cling to the assurance that you have the best in mind and if our faith in you allows us to move mountains, that all the glory goes to you!